availability:available by end of April, pre-order now! 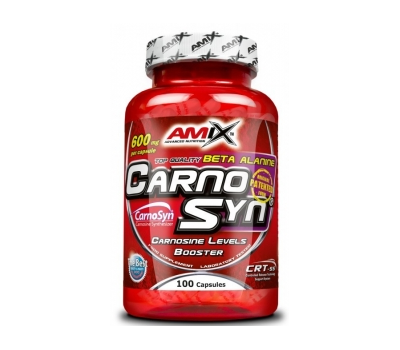 Carnosyn Beta-alanine contains beta-alanine, a nutritional ingredient, a non-protein amino acid, which is used by the body to be stored in the fast twitch muscle fibers as muscle carnosine. Carnosine itself works as lactic acid buffer and allows the muscle to perform the same bout of exercise without sacrifying performance. Translated for bodybuilders this means that they can training with more intensity and more often because of there faster recovery from exercise. The same applies to athletes who seek performance and just muscular hypertrophy. Carnosyn Beta-alanine's main ingredient beta-alanine is thoroughly research and found to be safe for use by humans and animals. The dose is depending on the weight of the athlete (human or animal). Yes beta-alanine is beneficial for equine athletes as well. Actually one the best research done on athletic performance and beta-alanine is done with horses. Beta-alanine by itself can be hard on the nerve endings causing a tingling sensation which can be described as needles touching your skin surface. Although you may first hear of Beta-alanine just now, many top professional athletes have preceded you and are constantly improving their performance. Beta-alanine is a non-protein amino acid that is stored in the muscles as carnosine where it works as a lactic acid buffering agent allowing the muscle to perform the same amount of work load many times more when the muscles would normally fail when supplemented with a placebo. Beta-alanine allows the fast muscle fibers to recover twice as fast from a workload than with a placebo. This will allow the muscle to grow stronger and bigger. The ideal supplement for those wanting to gain muscle strength but need the stamina as well. Other than being a component of carnosine, beta-alanine is a non-essential amino acid and the only naturally occurring beta-amino acid. Unlike alpha-alanine, which is used to build proteins, beta-alanine is a non-proteinogenic amino acid. Commercially available beta-alanine is sourced from dipeptides (e.g., carnosine) found in protein rich foods. 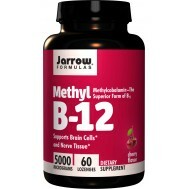 The body produces it in the liver from the breakdown of pyrimidines (uracil and thymine). Beta-alanine is also used to make pantothenic acid (vitamin B5), which is vital for energy production and other biochemical functions. It appears that beta-alanine may be a rate-limiting precursor of carnosine biosynthesis in the human body. Multiple studies have found that beta-alanine supplementation leads to increased concentrations of carnosine in both type 1 and type 2 muscle fibers. Carnosine was discovered and described in 1900 by Russian scientist W.S. Gulewitsch. A decade later, he identified its constituent amino acids, beta-alanine and histidine. In the late 1930s, a study on the buffering capacity of carnosine in muscle was published. Gulewitsch’s disciple, S.E. Severin, showed that isolated frog muscle preserved an excitation-induced response significantly longer when carnosine was present. Carnosine allows muscle to accumulate large amounts of lactate without a significant drop in function. Lactic acid (or lactate) accumulates in muscles during intense exercise, sometimes causing a “burning” sensation to occur. As lactic acid concentrations increase, muscle strength, power and endurance normally decrease. 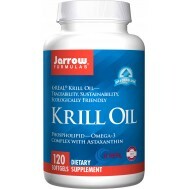 The acidity also hampers the production of new muscle tissue. However, carnosine helps stabilize muscular pH by soaking up hydrogen ions during exercise, acting as a first line of defense against muscle fatigue. In fact, carnosine constitutes 10-20% of the total buffering capacity in type I and II muscle fibers. Although it occurs naturally in both type 1 and 2 muscle fibers, carnosine is significantly more concentrated in type 2 (fast-twitch) fibers. Type 2 muscle fibers are used primarily in high intensity workouts and are more responsive to muscular growth. Overall it appears that the greater the concentration of carnosine that is present in muscle, the more sustained lifting, running and biking (i.e. total work output) that is possible. When carnosine is taken orally, only a small amount remains intact. Most carnosine is hydrolyzed into histidine and beta-alanine and then synthesized back into carnosine by the body. A more efficient and cost-effective process can involve supplementing with beta-alanine. 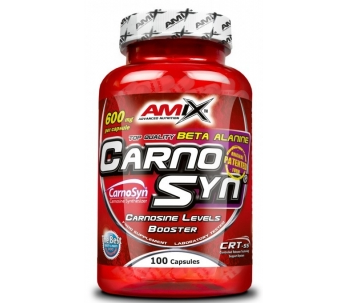 In fact, supplemental carnosine adds no further increase than what beta-alanine provides. The availability of beta-alanine is what determines the amount of carnosine made in muscle. Oral intake of beta-alanine can dramatically increase carnosine levels. Supplementation for just 4 weeks increased carnosine concentration by 42-65%. Longer beta-alanine supplementation (10-12 weeks) showed up to an 80% increase in carnosine concentrations. This translates into more reps, prolonged high intensity runs, greater endurance and quicker recovery. Weight trainers and other athletes looking to gain muscle mass and increase strength are often limited by muscle carnosine levels. Ageing is also associated with lower muscle carnosine. Carnosine or beta-alanine supplementation is capable of taking people to the next level. By boosting carnosine levels with beta-alanine, type 2 muscle fi bers soak up more acid to keep muscles from tiring, helping maintain maximal strength and endurance throughout workouts. How long before benefits are noticed? 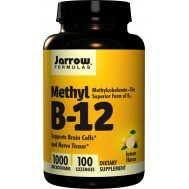 Performance benefits typically occur in as little as two weeks, although some individuals will notice benefits sooner. As carnosine levels increase, the benefits will follow. Some nutritionists suggest that three months of beta-alanine supplementation may be required before carnosine levels are optimized. Beta-Alanine is a naturally occurring, non-essential amino acid that promotes improved athletic performance. 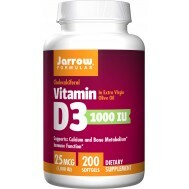 It is the limiting amino acid needed for the production of another amino acid, L-carnosine, an important intracellular buffer for muscle fibers. Beta-Alanine has been shown to increase the levels of intramuscular carnosine, resulting in enhanced athletic performance by increasing energy output, maximizing endurance and facilitating recovery. 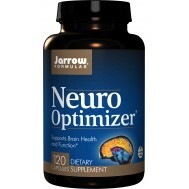 For optimal results, take with creatine and carnitine products.